It's been a few months since I started this blog. 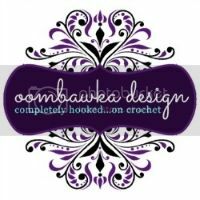 As my first blog, I'm excited with my " crafting journey" so far. It's a bless when I don't have to wait for retirement to start something that I really want to do, something I call " a passion". Now let's celebrate a new year with this kawaii pattern. Thanks for the rose pattern. It is really nice when you find someone who shares!!!! Thanks. This is a beautiful rose pattern. This is such a lovely rose. I love your rose! Got you from Annemarie's haakblog.